Have you come across the reversed mirror hour 23:32 multiple times when looking at your phone, your watch, or your computer? Your guardian angel is trying to get in contact and there is a message he wants to send you. To find out the meaning behind this reversed hour you should try to pick up on the signs that your angel is sending you so keep your eyes open. We come across mirror hours either during periods of reflection or by accident. If you see reversed mirror hours regularly over a day or a week then you are among the people called upon by the guardian angels to receive a message that they want to send you. Reversed mirror hours each have their own significance based upon angelic numerology, a field which draws its strength from the power of numbers. Be aware that this hour is a sign of malice, malevolence, and manipulation. Because of this you should always be on your guard, be careful, and make sure to constantly ask yourself who could be doing you good or bringing you harm. You should think hard about this because only you can know for sure. The guardian angel Haiaiel is trying to send you a message by showing you the reversed mirror hour 23:32 on a regular basis. 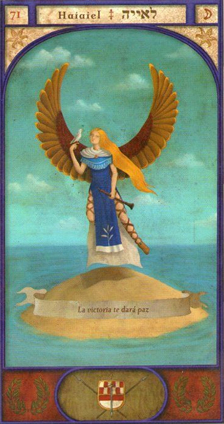 You should first of all be aware that this angel represents the weapons of the divine. Under his protection you will be able to develop a strong energy and improve your sense of leadership. Through the reversed hour 23:32 Haiaiel is trying to tell you that he is beside you to defend you and bring you his divine protection. This protection will be necessary as it allows you to make decisions which are good and just. He is also letting you know that he will help you develop your strategic mind, your protective spirit, and your receptive intelligence. He therefore gives you the opportunity to channel new ideas and thoughts which will change the world. Haiaiel also wants to let you know that he is guiding you towards success and will bring courage, boldness, and bravery to your heart and mind. Through the reversed mirror hour 23:32 he gives you the strength of will you need to become a warrior of light. Under his guardianship you will be receptive to inspiration from the divine. What's more, this guardian angel is telling you that you are now capable of freeing all people who feel oppressed or trapped. He brings you great powers of judgment and a critical mind. From now on you will no longer find it difficult to differentiate good from evil or truth from lies. Your guardian angel, protector and patron, also tells you that with him you will no longer feel depressed or stressed and will start to feel just like your old self again. He wants to make it clear that he will give you a more positive and optimistic mind and give you the courage you need to face all life’s little ups and downs. He is watching over you with his sword and shield to bring you victory in all of your battles. 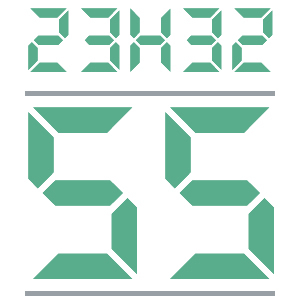 What does 23:32 mean in Numerology? In numerology 55 is a strong number. It predicts struggle, aggression, and stress but it is also a bearer of change whether this be internally or externally. It also makes your life more dynamic and allows you to live life with more passion. The number 55 symbolizes experience, adventure, idealism, curiosity, challenge, and change. When the number 55 is in connection with the reversed mirror hour 23:32, this is a sign that you should let the past go as it is of no use to you anymore. You should prepare yourself for changes in your life. To do this, you should set aside your doubts, your worries, and your fears because these will get in the way of you finding the right path, the one that you are truly meant to take. The angel number 55 also indicates that you should always have a positive attitude, no matter what changes may occur in your life. It is also telling you that you should keep an open mind. This is important as it will allow you to become more open to all the new opportunities which will present themselves to you. In light of the changes that you are about to face you should be patient and confident because even if everything seems confusing at this moment, you will find that everything becomes clear in time. Also keep in mind that there are good reasons that these changes are happening and that nothing happens by accident. To accomplish your goals and be met with success, the bearer of the number 55 with its strong link to the reversed mirror hour 23:32 should return to the path of balance while at the same time learning to distinguish actions from judgment. They should be wise and tactful. But be careful! You should also pay attention to excessive actions or attitudes which could lead to devastation or self-destruction. 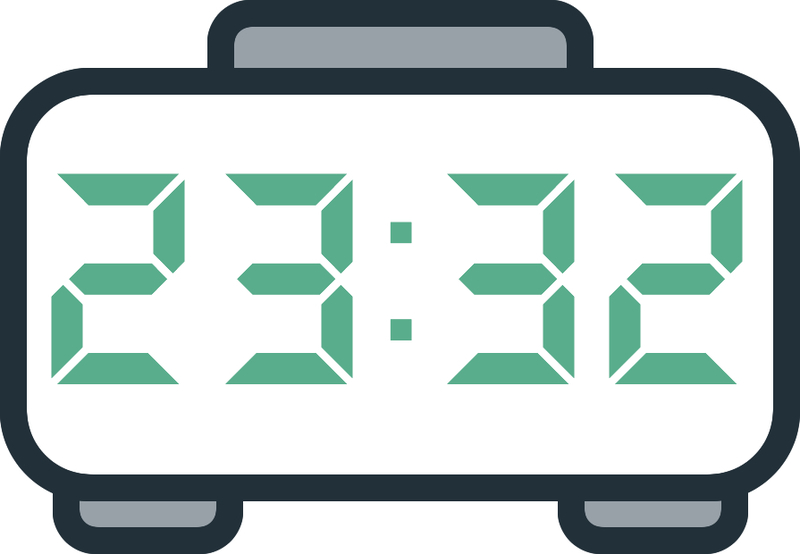 Any comment on the 23:32 mirror hour?